Clean google search toolbar! This removes the annoying affilliate links like "epionions" and other sites that have very little content but appear high in search engine results. Does anyone think that alies could be cows? Because you know like in the movies and stuff they always abduct cows...that's kind of odd. So then maybe the aliens are cows and on their home plant cows are the rulers. So then maybe they think that cows are superior here and then when they abduct some they find out that they're really stupid. And then they decide that they're going to train the cows to be warriors. And eventually alien cows will come attack our planet and rule us all. That would be cool. Shhhhhhhhhhh! Nobody's supposed to know! I have a question. I sent some respectible stories to this website and I dont know if you bothered to put them on the site yet. Is there a way we can find out if the stories were put on the site or if they were declined? I'm going to create a new free-for-all topic that people can post things to without pre-approval. Stay tuned for that. Some new features are being added today, including a revamped mailing list system. I agree with the new free-for-all topics that people can post but I do not agree on publishing them without pre-approval. There are too many nasties out there! has anyone posted the article weapon the military has developed? Supposedly it can make people vomit and crap their pants if the beam is pointed at them. Has anyone gone to a search engine and found out what the Liberty Amendment really is? If so then go the the comments site and let me know what you think. Knowledge is power. Informed discussion is intellegent, opinions are like assholes, we all have one. I am SOO MADD I just have to unload somewhere AND EVERYWHERE!!!! is there a discussion forum? if so, at what point do I get an access? 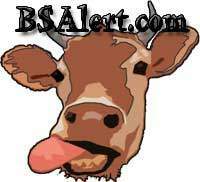 ahhh... so there is no BSA forum? thanks. heres the thing, prisons are overcrowded its costing more and more to detain these guys, i have contacted some elected officials in 5 states and i am looking to see spanking return. not whipings like in the middle east but just bare butted spanking possibly with paddles. inmates should and must receive regular spankings to make up for the ones they didnt get when they were growing up! lots of good information on this site. thanks!